Steal the evening scene in these shimmering ankle-strap sandals embellished with hand-applied one by one swarovski crystals ! Ideal for your gorgeous mariagge too . 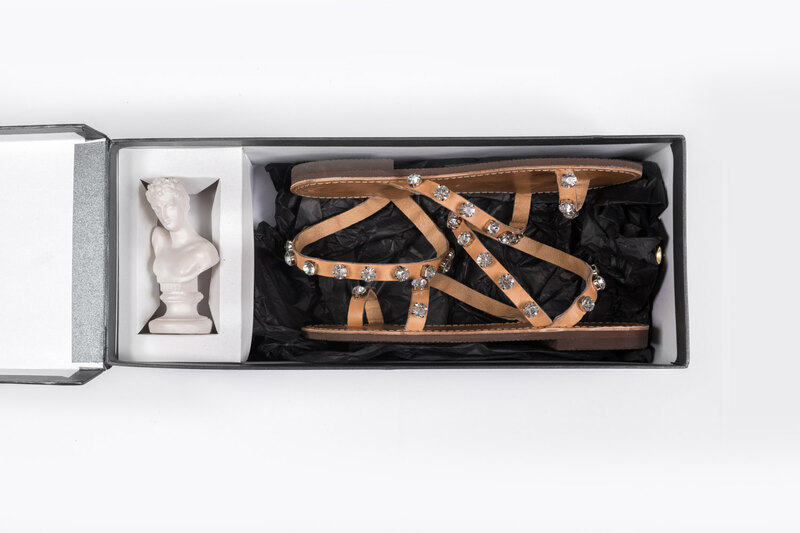 Our pair of sandals presented to you in a most precious shoe box but you must require with the cost of 5 euros extra . 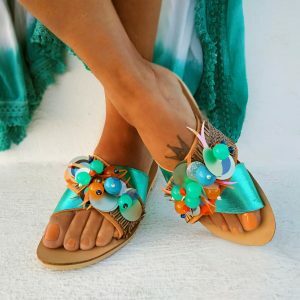 Cassandra all handmade leather sandal. 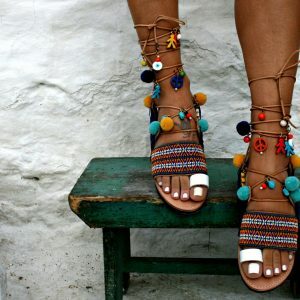 A new Marbe style, the Greek sandals feature a criss cross of leather straps peep toe all handmade.